On Monday, November 2, 6:00 p.m., at The Grey, 109 Martin Luther King Jr., Blvd, Savannah, GA, The Edna Lewis Foundation (ELF) is proud to pay tribute to African-American female chefs while celebrating the legacy of Chef Edna Lewis. Though serving in America’s kitchens for over 300 years, most black female chefs are noteworthy undiscovered culinary heroines. Through a continued commitment to honoring, preserving and nurturing African Americans’ culinary heritage and culture, ELF looks forward to celebrating culinary trailblazers like Leah Chase of the renowned Dooky Chase Restaurant in New Orleans. 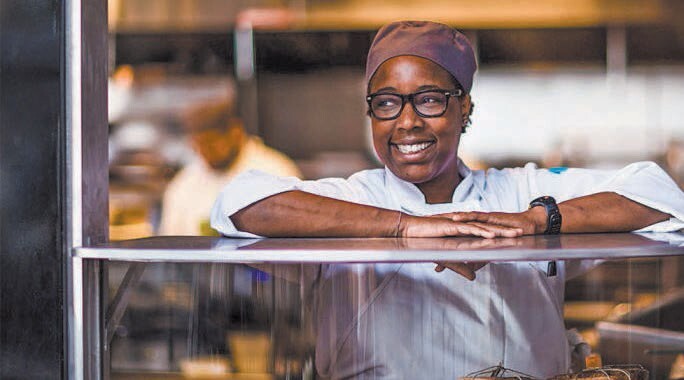 In addition to African-American female heroines of today, including Chef Mashama Bailey of Savannah, GA, Chef Celestia Mobley of Jacksonville, FL, Chef Jennifer Hill Booker of Atlanta, GA, Chef Tiffany Derry of Dallas, TX and Chef Maurietta Amos of Atlanta, GA. Chef Randall and the foundation’s board of trustees will continue to hold events to celebrate Edna Lewis’ memory, “On November 2, we celebrate the memory of a beloved culinary legend and do so in southern-style with the help of a team of celebrity African American female chefs who have looked to Edna Lewis as a culinary inspiration and matriarch within the industry,” said Randall. Tickets are $125 per person and available for purchase at ednalewisfoundation.org/benefit/. Net proceeds from the event will benefit The Edna Lewis Foundation and its programs.